The Fitbit Flex wins our award for Best Activity Tracker with its simple design, easy synching and wide integration with third-party apps. Although none of the most highly rated activity tracking devises are perfect, the Fitbit Flex is the tracker that comes closest to our ideal of the perfect device. It does a great job measuring your steps, sleep and calories burned, while winning points for super-easy syncing to iOS and select Android devices. 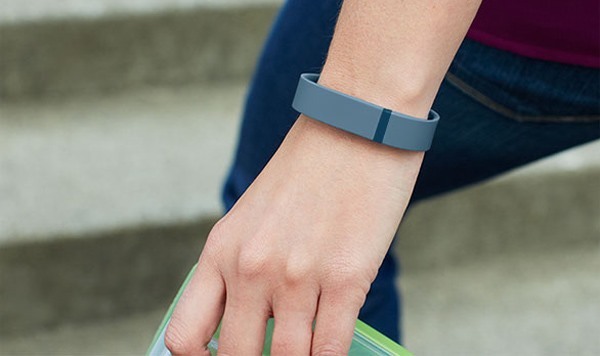 A few of the others come close, but for overall simplicity and usefulness, the Fitbit Flex is the one to beat. The Flex band is a rubberized bracelet with a small tracking device that's not flashy and doesn’t have an LCD readout - which means it doesn’t scream “fitness tracker.” Because the Flex is so thin and pliable, it’s easy to wear while at work if you spend a lot of time typing on a computer. The Flex also provided the best balance of battery life and ease of charging. The battery on my Flex lasted close to a week before needing to be recharged, but having to insert it into an adapter before plugging in to the USB port was a pain. The Flex also gets huge points for its integration with other fitness apps such as MapMyFitness and RunKeeper. If you’re counting calories, you can export your data to popular apps like LoseIt! and MyFitnessPal. This is especially helpful if you started out tracking your food or fitness using a mobile app before moving to a dedicated tracker. If you like the app you started with, the Flex lets you continue to use it.